EghtesadOnline: The First International Exhibition of Glass and Related Industries, otherwise known as Iran GlassTec, opened in Tehran’s International Fairground on Wednesday and concluded on Saturday. The event is considered the first specialized glass exhibition in West Asia. 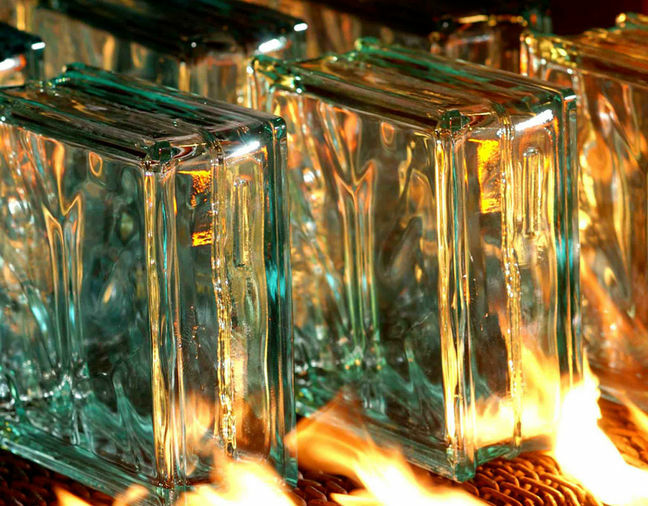 “The global production of glass stands at around 40 million tons [per year] and Iran accounts for 4% of this amount. Last [Iranian] year [ended March 20, 2017], about 500,000 tons of glass, accounting for 35% of domestic production, worth close to $120 million were exported from Iran,” deputy minister of industries, mines and trade, Jafar Sarqeini, told Financial Tribune on the first day of the exhibition. “Factories need to increase the share of their exports to 50% of their production within the next two years or else they will have to reduce production and work at levels below their capacity. We need to be export-oriented in the field of glass industry,” he said. According to the official, the Iranian glass industry is backed up by rich mines from which almost all the required raw materials are extracted and the government supports the industry in the exploration and excavation of these mines, Financial Tribune reported. Today, he said, all the local auto industry’s glass demand is met domestically and there are no imports in the field. Sarqeini noted that Iran’s capacity for producing glassware is nearly 800,000 tons and growing. Many companies from Iran and other countries set up pavilions for exhibiting their latest products and achievements in the exhibition, including many top and renowned companies. Mohsen Pourfallah, manager of the Technical Engineering Department of Ardakan Glass Production Group, which is one of the well-known brands in the global arena, told Financial tribune the group has the fourth biggest glass production line in the world. “We produce super clear glass using advanced technology. Part of this technology has been imported and part of it has been developed by the R&D unit of the company, which was one of the very first units established in the company. The management here believes in the R&D unit, which has helped us in producing high quality products on par with the latest international standards,” he said. Declining to tell us the value of their last year’s exports, Pourfallah said they are among the biggest exporters of glass, shipping their products to countries in Asia, Europe and Africa. He added that they are planning to expand exports to the Americas in the near future. Ardakan Group, according to Pourfallah, owns silicon mines from where it excavates its raw materials for producing raw glass. “A small part, say less than 10% of the raw materials used in the secondary industry of glass such as special glue and spacer used in the production of double-glazed glasses are imported,” he said. The secondary industry of glass includes the production of satina, decorative, lacobel, laminate, tempered, double-glazed and curved glass as well as mirrors. The company, Pourfallah said, has created 1,500 direct and between 5,000 and 6,000 indirect jobs. Hamed Ehtesham, the head of Exports Department at Kaveh Glass Industry Group—another reputable Iranian company, said the firm started off by producing glassware and flint glass 33 years ago. “Today we have 11 production lines producing not only glassware, but also tableware, mirror, float, reflective, laminate, figure and sheet glasses. We produce close to 200,000 square meters of glass per day. The company has generated around 9,000 direct and close to 4,300 indirect jobs. Our factories are located in the provinces of Markazi, West Azarbaijan and Yazd. We own our mines and carry out the excavation processes ourselves,” Ehtesham said in the interview. As such, he said, 90% of the raw materials, including soda ash, are procured domestically and imports constitute a meager amount, adding that imports include machinery spare parts, PVP films used in laminate glass and materials used in colored glass. “We plan to add two float glass plants and 15 glassware and tableware production lines to the firm within the next 12 months. We are going to add a soda ash plant that would create a threefold rise in our production capacity,” he said. The export manager also touched upon the difficulties faced by his company in terms of importing technology and machinery during sanctions. Among other impediments to exports, he referred to the lack of adequate government support, customs formalities and the prohibitively high costs of transportation, which in turn renders the end prices uncompetitive in global markets. According to Ehtesham, the group exports to 38 countries, including Commonwealth of Independent States, Azerbaijan, Turkmenistan, Iraq and Afghanistan in Asia; Italy, Spain, Poland, Hungry, France and Ukraine in Europe; Brazil in South America and Canada in North America. “We export an average of 250,000 tons of our products worth more than $70 million annually. About 50% of our production are in excess of our domestic sales, so we have to export the rest. Our marketing group has annual plans for our target markets and experts are dispatched to these countries to do the relevant studies and market research regarding the needs and tastes of potential customers,” he said.